Discover the 2019 Ford Explorer at Coccia Ford near Scranton, PA today, and see what power lies under the hood. All models come with a standard 3.5-liter V6 engine that delivers 290 horsepower. Front-wheel drive is also standard in all models, but they can all be upgraded to all-wheel drive if your lifestyle demands extra traction. 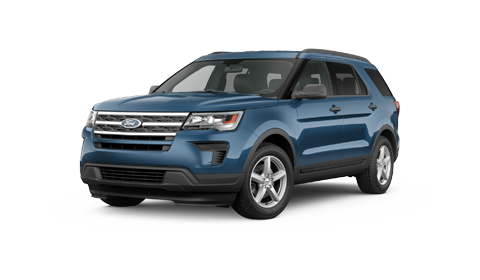 If you’re just looking at the base Ford Explorer, you can expect to get 17 MPG in the city and 24 MPG on the highway. Although if you’re looking for an upgrade, you can opt for the 2019 Ford Explorer Limited with a 2.3-liter I-4 EcoBoost® engine, which will give you 19 MPG city and 27 MPG highway. You won’t have to worry about the snow this season if you equip your new Ford Explorer with the available Terrain Management System. This system has 4 settings to choose from to make it easier to power through rough terrain. On top of the Terrain Management System, you will also have the Towing and Trailer Sway Control and when the Explorer is equipped correctly, it can tow up to 5,000 pounds. The Class II and Class III Trailer Tow Packages are available for upgrade to give that extra power if you need it. No one is a stranger to the exterior of the 2019 Ford Explorer. With just some simple face lifts over the years, it’s still the same Explorer that Ford drivers in Scranton love. The dynamic grill is one of the classic features of the exterior that anyone can recognize. Trims of the Explorer include the base model, XLT, Limited, Sport and Platinum. All 5 trims of the 2019 Ford Explorer are available in colors such as a dazzling Ruby Red, a classy White Platinum or a mysterious Agate Black. Standard in this crossover SUV is the LED lights, but what is not standard is the 9 different wheel choices you have. Whatever your style is, Ford has an option to fit. Never again struggle with bringing groceries or luggage out to the car with the available hands-free, foot-activated power liftgate. With just a simple tap of your foot, the back liftgate opens up and you can even adjust the height if you’re under a lower hanging structure. The interior comfort of your vehicle is one of the most important things when looking for a new car and Ford knows this. That’s why they designed the 2019 Ford Explorer interior to have spacious seating and plenty of storage space. With 3 rows of seating, there are plenty of options to choose from when taking a trip. The whole family can fit since the Ford Explorer can seat 7 adults. If you’re not taking the whole family and need more room, the power fold third row seating with a 50/50 split can definitely come in handy. If you have all the seats up, the 2019 Ford Explorer has 21 cubic ft of space, with the third row down, it doubles the amount of space with 43.9 cubic ft available. If that still isn’t enough, with the second and third rows down, it boasts 81.7 cubic ft of space. Have a fun night with the kids, put all the seats down and gaze at the stars through the twin panel moonroof and stay connected with Ford Pass Connect. You can connect up to 10 devices to the 4G LTE WiFi Hotspot and search all the different things you may see. 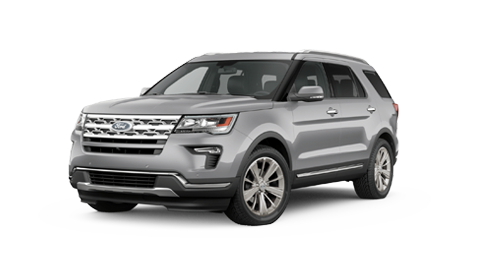 Explore the 2019 Ford Explorer at your local Ford dealership in Wilkes-Barre, PA.
Ford has made it easy with the available Ford Safe & Smart Package to assist with driving. Features of this package include lane drift alert, programmable cruise control, and collision alerts. The cruise control isn’t your average system, this one includes not only picking your speed, but also choosing the distance and speed you want to be from the vehicle in front of you. Other amazing features include rain sensing wipers and auto high-beam headlamps. Stay connected with the world around you with the available SYNC®3 and Ford Pass Connect. SYNC3 is an easy-to-use, voice-activated system that responds quickly and efficiently like your own smartphone. Along with the SYNC3, you can download the Ford+Alexa app and have access to all things Amazon on the road. You’ll be able to stay connected wherever you are and even have control of your smart-home devices. See all these amazing tech packages at your local Scranton car dealership today! Ford knows that you care about the safety of you and your family, and they kept that in mind while designing the 2019 Ford Explorer. The new Ford Explorer received a 5-star Rating from the NHTSA, just like the 2018 Ford Explorer, for front and side crash ratings. Some of the amazing features include the Ford Safe & Smart package, along with inflatable seatbelts and a keyless entry pad. The 2019 Ford Explorer is the only one in its class to have optional inflatable seat belts for the back seats. These seat belts assist in the event of a crash and keep the passenger in the appropriate position. They are also compatible with most child safety seats. Standard is the AdvanceTrac with Roll Stability Control which uses 2 gyroscopes to watch over your yaw and roll rates. This system will help you stay in control whether you oversteer, understeer, or if your wheels slip. It will also detect if you are going around a curve to fast and will reduce your speed accordingly. Learn more about all these incredible safety features at Coccia Ford in Wilkes-Barre, PA.